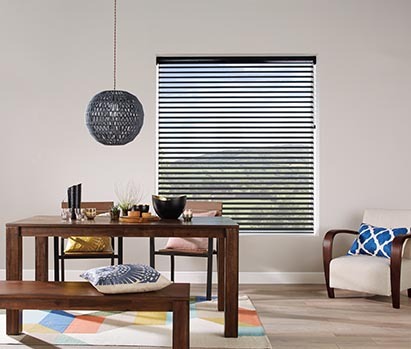 Day & Night Blinds . 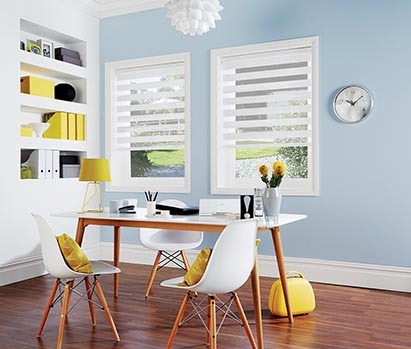 Day and Night Blinds feature the ability to cater for all light control and privacy permutations in a single product. 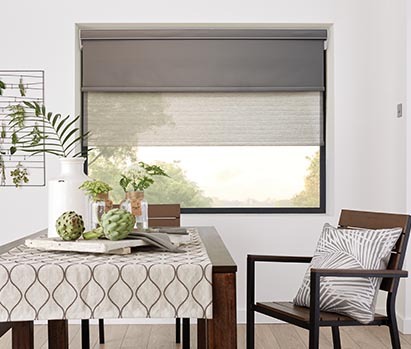 This category of blinds can be easily adjusted to provide a degree of light control while still allowing for views to the outside, or can easily be adjusted to provide full day and night privacy.